Blogging The Knights’ Quest: Top Articles of 2016! I hope you had a great 2016! It looks like 2017 will be full of new things, and that includes new hazards with technology! HAPPY NEW YEAR!!! (Belatedly*) I hope you had a great 2015 and have 2016 mapped out to be even better! For Blogging The Knights’ Quest, this past year was another RECORD YEAR!!! Our readership in 2015 was up 12% over 2014 to over 43,000 readers! That’s a 1,600% increase over 2011! 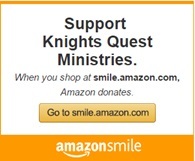 Knights’ Quest TV is LIVE! Knights’ Quest is thrilled to announce that our new KNIGHTS’ QUEST TV Channel on YouTube is now LIVE! We created this channel so we can provide our “how to” information in a format that will be available worldwide, 24/7/365, when parents need it and not just when we are in town giving seminars!!! If you are getting a new PC for Christmas it’s a good idea to consider upgrading your Microsoft Office program, especially if you are using OFFICE 2010 or earlier. The best deal that I have found for most families, especially those with multiple computers and portable devices, is Microsoft OFFICE 365 HOME.